Everyone wants a beautiful kitchen with plenty of cabinets with not only sufficient space but also plenty of style that suits your personality. With so many options available, realizing this dream requires a lot of thought and questions for both yourself and your cabinet designer. Read on to learn more about the best steps to take plus tips on interacting with cabinet creation specialists. 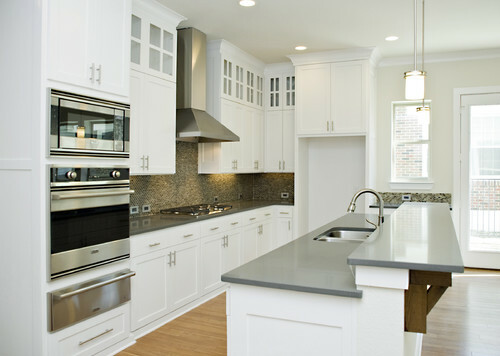 This series of articles began with the basics about kitchen cabinetry. For any design elements or special editions can be considered, you need to figure out the end goal first. Then, gather design books, magazines, and websites that showcase different ideas in cabinet design. This general knowledge about the options available on the market will help you make the final decision for your home. The next step is picking a reputable cabinet designer and cabinet maker to begin the project. The home decor industry offers a wide selection of stock cabinetry that can be installed without much trouble by any contractor. This option is much less expensive than having custom cabinets designed, built, and installed. 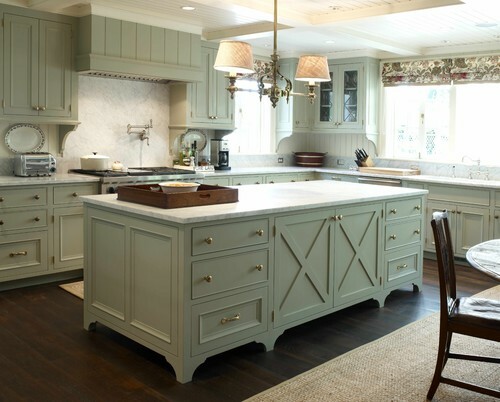 When you are thinking about something as long-lasting and important to property value as kitchen cabinetry, the entire process deserves careful and thorough planning. Photo by Creative Design Construction. Start the kitchen remodeling process by building a picture in your mind of the perfect design. Of course, it is important to know the measurements of the room, which materials you can afford, and what you need to store where. If you are going to spend money on new cabinetry, you want them to look great. The details and answers to all your questions will be determined later in the process. For now, imagine what you want in detail. If you care more about form than function, you probably already have bookmarks to websites like Houzz or subscriptions to decorating magazines. Spend time perusing the photographs to figure out which elements you like and which you do not. At this point, you are operating on emotion. A particular style of cabinet may attract your attention more than any other. When that happens, you know you are on your way to the perfect design. Of course, function is also important for kitchen cabinets. They are ultimately storage pieces that are designed to securely hold items that you need to work efficiently in the kitchen. Determine which aspect you value more. Do you prioritize convenience or eye-catching style? While it may not be possible to have it all, a quality cabinet designer with experience knows how to get most. Take out the photograph that caught your eye the most when you were exploring all the different options of custom cabinets. Ask yourself what it is about this photo that attracted you to it. Professional photos of kitchens have a lot more decor options in them than just the cabinets. Determine if they are the reason for your interest or if something such as the appliances or floor tile caught your attention more. 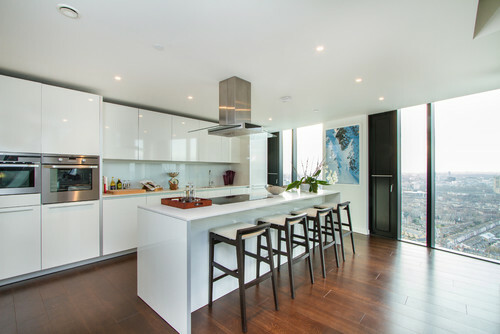 In the photo provided above, the cabinetry is very simple and clean. No dimensional paneling, crown molding, special paint treatments, or unique hardware can be found. All they are is glossy white paint in a European-style with flat surfaces and shiny chrome handles. These are perfect for someone who likes modern and minimalistic style. Is this something you can envision in your kitchen? Someone who found this photo most appealing may appreciate the utility of the cabinets more than their style. Perhaps they are drawn to the beige subway tile backsplash, the unique horizontal windows, or the layout of the kitchen itself. 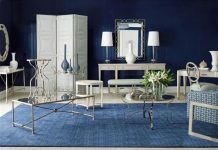 Changing your existing room to match all of these design options would be very expensive and time-consuming. Just changing the cabinets can help you achieve a similar look for less. 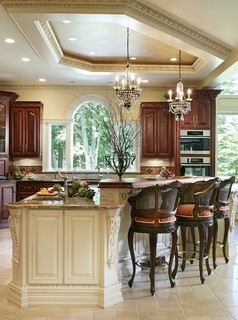 In the next photo, you will see a much more traditional style for kitchen cabinetry. A highly skilled custom cabinet maker designed and built these with magnificent design options such as inset shapes, full paneling on the sides and doors, bead board backsplash, and a stylish neutral granite countertop. The island has country-style barn doors that give an air of antique utility to this very useful addition. There are even two different varieties of drawer faces. The top ones have no panels while the bottom ones do. It is these types of little details that can make a custom kitchen look truly unique. If your eye is pulled in by this photo more than the first, examine each of the elements shown on the cabinets and throughout the kitchen to figure out what you like best. In your mind, deconstruct the cabinets in two separate parts. Do you love the variety in the drawer faces but do not like the barn door motif? Perhaps you love the corbel details that transition the backsplash to the cabinet and the wood panels to the slab. Are you enamored with the antiqued brass hardware, which is incidentally one of the hottest metals in home design today? 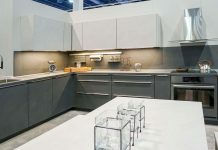 The more questions you ask yourself and the more detailed your impression is of a particular kitchen photograph, the more likely you are to be able to communicate your desires clearly to the people who will design your cabinets. Multiple job titles cover kitchen cabinet design: cabinet makers, cabinet designers, builders, carpenters, architect, and even the general contractors. Determining who would be the best option to bring your vision to life can be a daunting process, but we have some tips that will help. 1 – How long have you been in the business of specifically designing and building cabinets? There are is no universal rule that people who are new to the cabinetry industry are worse, but it is a greater risk that you may not want to take with this type of expensive project. 2 – How many kitchen cabinet projects have you designed and completed successfully? Ask to see before and after photographs of real projects that the person worked on. This will show you if the cabinetmakers have enough ability to match your vision. For example, perhaps all the photos show a very similar type and style of cabinet. This can mean that the designer does not have a wide range of capabilities. Also, they might not be willing to put in the time and energy it takes to truly understand what the client wants. 3 – Are there any former clients I can talk to first? If you skip this step, reading online reviews is essential. Always seek out independent opinions about both the finished product and how the levels of professionalism and customer service coincide with your requirements. 4 – What will the kitchen cabinet design, build, and installation process be like? Knowing exactly what you are getting into is essential for feeling comfortable with the process. Although no exact time frames can be given at this point, and there may be unforeseen problems that no one can guess at, the designer should be able to walk you through the basic steps from sitting down and using a design computer program to fabricate an image of your kitchen all the way through screwing on the last drawer pull. After you ask plenty of questions and choose a cabinet maker to work with, it is time to listen to them. They have the experience and the knowledge that you do not have about designing and building cabinets. That is why you hired them. Be prepared to hear that some of your ideas simply will not work or may not be the best option for your kitchen space. Ask for their advice and value it. After you communicate your ideas, style interests, and functional requirements, let the designer hold the reins and come up with a perfect solution for you. There will always be an opportunity for a give-and-take so both sides can compromise and come up with the right solution. Now that you understand the process and cabinets themselves, you will be able to take an active role in the design decisions. You may want your new cabinets installed as soon as possible, but take enough time to look over the designer’s plan before signing off on it. Designers may take a week or two to finish the first design presentation. They will present you with either drawings or computer graphics that clearly show every aspect of the cabinet construction and style. Not only will there be a top down view of the cabinet arrangement but also what is called an elevation, or a view straight at the cabinet fronts. If a computer program is used, as is quite popular these days, you may even get a three-dimensional image. Take your time to look over everything and notice every detail. With the plan in hand, head to your kitchen with a tape measure to better imagine the new cabinets taking up your space. Will the plan match your vision for what you want your kitchen to look like? Will they be both stylish and user-friendly? Kitchen cabinets last for many years and cost a considerable amount. It is essential that you are completely satisfied with the project before any demolition or installation begins. Although it is never a good idea to micro-manage a construction project, you are completely within your rights to ask questions and express concerns if you feel the project is deviating from what you expected. Keep calm and explain thoroughly what you feel is incorrect and gives the designer or contractor a chance to explain. The first draft of the plan is only the beginning. Designers expect you to change things should not be too pushy about their initial vision. If, however, the designer does try to force you to choose something you do not really want or seems reluctant to listen to your ideas, you might want to bring in an impartial third party or find another designer altogether. If you are too rigid about your cabinet construction process, conflict may result. On a personal level, your spouse or other family members may have different ideas and preferences. The designer himself may think that some option will not work in your particular kitchen or a design element clashes with the surroundings. Compromise does not mean giving in or giving up what you want. It means making the right choices so that everyone feels comfortable with the end decision. Once the design and construction process is underway, you must trust the designer and cabinetmaker to do the job properly. Anyone in such business understands the need to keep the clients happy if they want to keep making money. After the design phase, research cabinetmakers or builders, get recommendations, and then ask for multiple estimates to determine which one can offer the best value. The final decision about which builder to choose to bring your design to life may come down to cost, availability, capability, or simply a gut feeling. 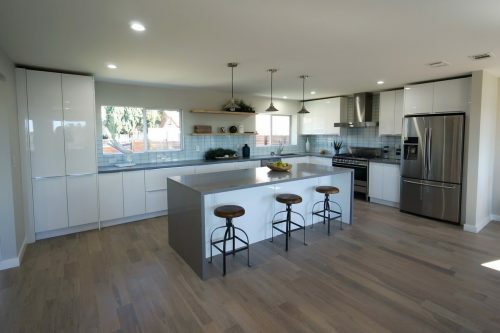 Since you only approached experienced builders with good reputations, to begin with, either one will result in a beautiful kitchen. Installing prebuilt cabinets can take quite a while as the old one seems to be removed, prep work needs to be done beforehand. When you work with custom cabinetry, the process becomes much longer and you as the homeowner needs to be ready for this. 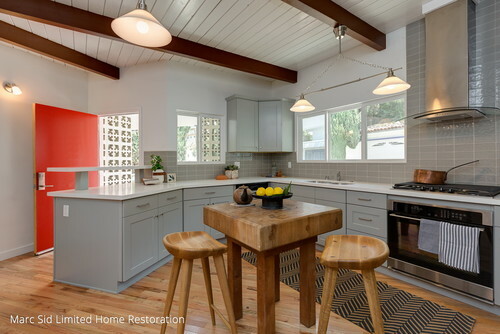 Depending on the size of your kitchen, how many cabinets are being replaced, and how detailed they are, they can take two or more months to build. Tack another week on the end for installation at least. Although staying calm as you see your new kitchen take shape may be difficult, and the stress of a disrupted home builders, rest assured that all of the tough decisions, in-depth research, and patience will be worth it in the end. Next articleWhat Kind of Kitchen Layout Works for You?